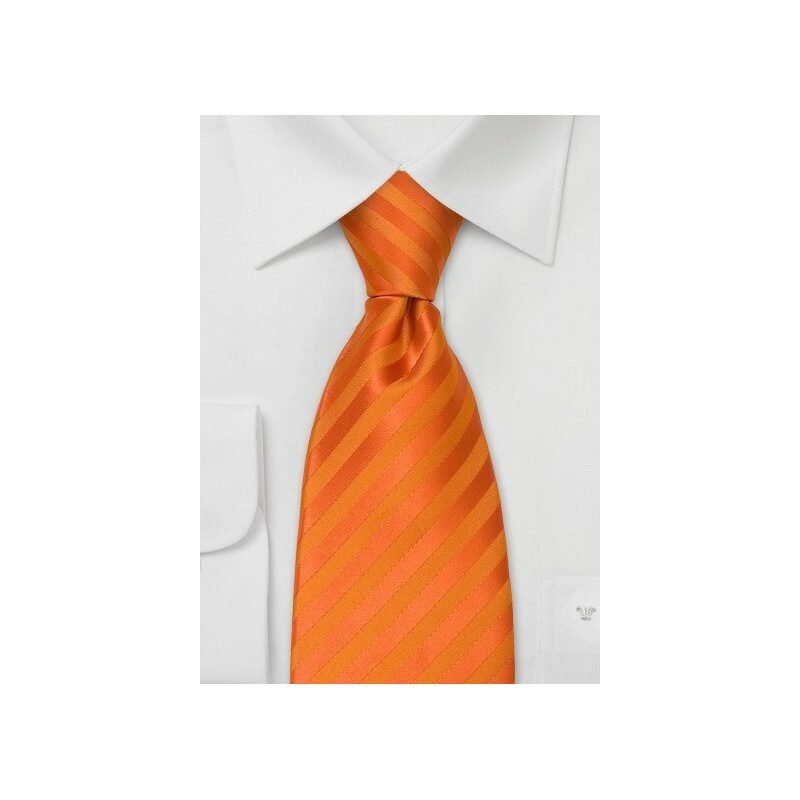 This bright orange necktie is made in longer length measuring 62 inches. It is the perfect fit for any man taller than 6' 3" and/or those with a larger neck size. 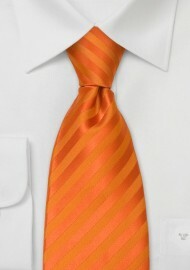 The bright orange color on this tie is the perfect match for the sunny day in the spring or summer. It is a tie that will freshen up the look of any shirt and suit. It matches well with suits in gray, charcoal, navy, tan, and light browns. Made from stain-resistant microfiber.